911uk.com - Porsche Forum : View topic - Can you tell what it is yet? 911uk.com Forum Index > General Porsche Chatter > Can you tell what it is yet? Posted: Fri Aug 03, 2018 4:29 pm Post subject: Can you tell what it is yet? think you may have some dust issues there! Every week my car looks like a barn find if I don't drive it. New dropped curb going in shortly should sort that. You now need to spend some of your savings on a tin of marine deck paint to stop all that dust ....... I painted my garage floor with it over 27 years ago and it's still good in 96% of the area, just little wear in the four tyre spots because of the latent heat. Sorry about that.....it was too good to pass up. The cover was effectively unused. When I went to pick it up I checked all the elastic and they were unmarked. As for the garage, I've been renovating the whole house, well renovating isn't the right word. I've built a new house around another house and the garage is the last thing to do. I've got to drop the curb, screed the floor as it's 70mm below finished floor level at the moment. I'm then getting guys in to put the resin type flooring down like they have in F1 factories. As for the man cave, it's not a bad space but I'd have liked it bigger. I've converted the old kitchen into the shed for my wares and the garage will be parking only. There will be more than enough interest for a build thread of your garage in the Members Lounge. Crack on I say. Crack on we love man cave threads! Not a very PC heading for this subject guys and gals!! To be picky and ultra PC, it's not very PC to refer to females as "gals". Tell that to Jimmy Saville!! Either way ....it’s got the making of a nice cave mate!! What is it about women and garages? I tiled my floor with porcelain tiles, ideally NOT to be covered up with bleedin kids bikes, skateboards, old kitchen electricals, and general household shiite. I know well put it in the loft instead? for the next 20 fucin years Then when I snuff it you pay a man with a van to take it to the tip! Just take it now FFS!! No chance. As part of the design, I factored in loads of storage space. So it's hard to see but there is a room off to the left that will house all garden tools etc. I then have on the 3rd floor an area for storage of all the domestic overflow stuff that is the same footprint as the garage. It was too low to to turn into a usable room so it became the storage area. As part of doing a build is that you hold onto loads of stuff that you may need, but now am at the point of nearly being done so having to be ruthless with chucking stuff away. Sounds similar to what ive been doing. Have just doubled the size of my house nearly and made the mistake of saying to the builder "whilst your here you may as well extend the double garage". 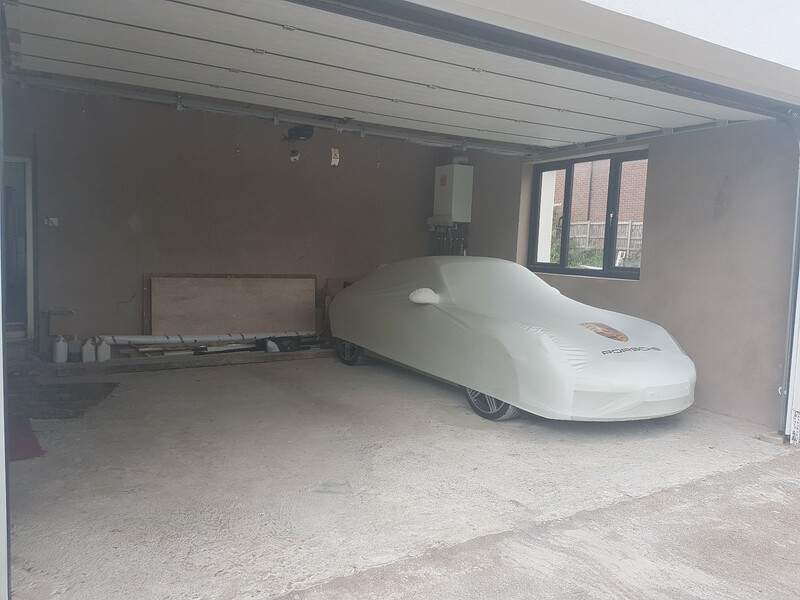 Needless to say he immediately cracked on with the garage, so now ive an 11metre by 5.5metre garage and rapidly running out of money to finish the house extension. I also invested in a metal 12ft x7ft storage shed which has allowed me to off-load as much as I can from the garage into the shed. 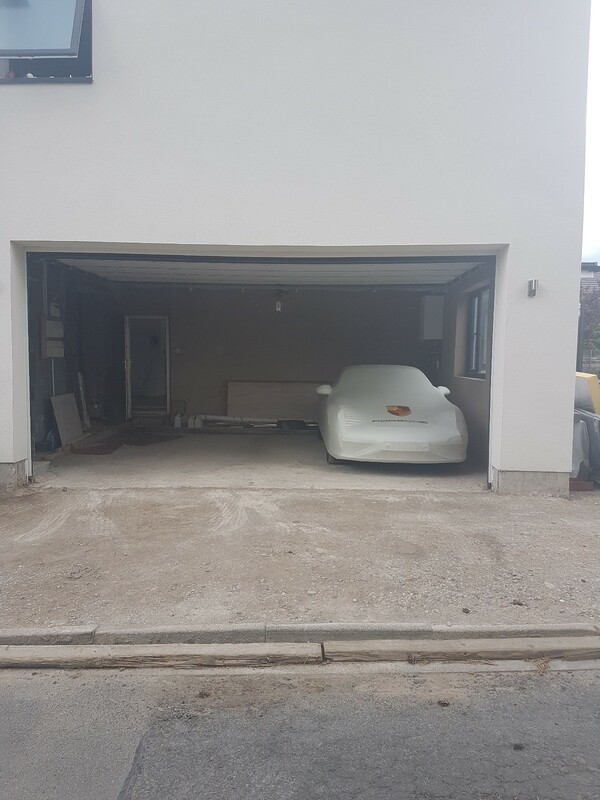 Just need the building work to all be finished then I hopefully will be able to park my car in the garage!